The Seattle Seahawks are trading defensive end Michael Bennett and a seventh-round pick to the Philadelphia Eagles for a fifth-round pick and wide receiver Marcus Johnson, sources tell ESPN. The Atlanta Falcons, New England Patriots, Cleveland Browns and Tampa Bay Buccaneers were all in the mix to acquire Bennett, sources confirmed to ESPN. The Eagles' new third-down pass rush will have Bennett and Fletcher Cox on the inside, with Derek Barnett and Brandon Graham on the outside. Johnson, who has run the 40 in 4.36 seconds, gives Seattle insurance if it loses speedy wide receiver Paul Richardson in free agency. The addition of Bennett will allow the Eagles to explore a potential trade of defensive end Vinny Curry. Curry paced the Eagles with 41 hurries in 2017 but finished with just three sacks. He carries a cap hit of $11 million in 2018. The Eagles were working to restructure Curry's contract in an attempt to keep him, but the arrival of Bennett is likely to accelerate trade talks. That might not be the only other shoe to drop. The Eagles were projected to be around $9 million over the cap before this deal, and will have to make moves between now and March 14 to ensure they are cap compliant. The trade can't be officially announced until March 14, when the 2018 league year begins. Bennett, who sat during the national anthem last season to protest social issues, enters an organization that has been accepting of social advocates on the team. Safety Malcolm Jenkins is a co-leader of the Players Coalition, which joined in a partnership with the NFL that calls for the league to contribute $89 million over seven years to projects dealing with criminal justice reform, law enforcement/community relations and education. Jenkins, defensive end Chris Long and wide receiver Torrey Smith have been some of the more active players on the social justice front. Jenkins demonstrated during the national anthem for a season-plus before the Players Coalition's partnership with the NFL was announced in late November. Trading Bennett clears around $2.2 million in 2018 cap space for the Seahawks, though he'll carry around $5.2 million in dead money charges. By trading him before he was owed a $3 million roster bonus on March 18, Seattle will also save $21 million in cash over the remaining three seasons of his extension that he signed in 2016. The Seahawks now have four picks in the fifth round and two in the seventh, still leaving them with eight in all but none in the second or third rounds. Bennett was second on the Seahawks with 8.5 sacks in 2017 and again led the team's defensive linemen in playing time by a wide margin. But there were doubts about his future in Seattle, as he will turn 33 in November and dealt withknee injuries and a torn plantar fascia in his foot during the season. "With me, I'm fine. 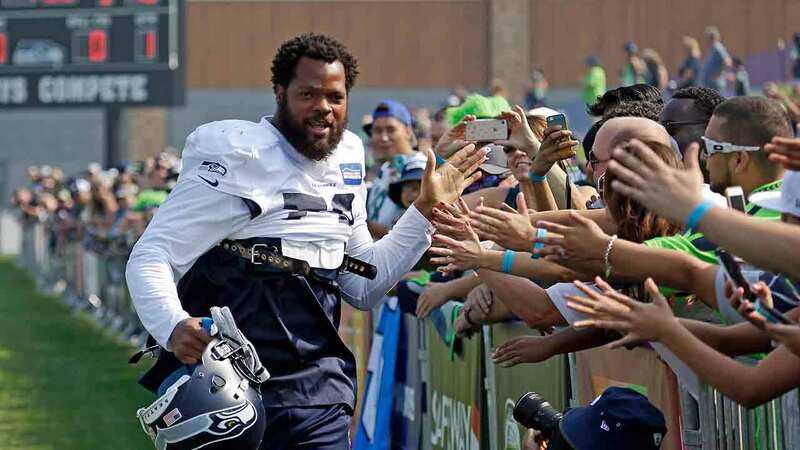 I mean, whatever happens, I've loved being a Seahawk," Bennett told reporters on Jan. 1. "... You love the organization. You love the players that you played with. We've won a lot of games. So if I am not here, I would never have any hard feelings toward the organization. I love [coach] Pete Carroll and [general manager] John Schneider, and we just move forward. It's part of football." Bennett entered the NFL as an undrafted free agent with the Seahawks in 2009 but spent the majority of his first four seasons with Tampa Bay. He returned to Seattle as a free agent in 2013 and produced 39 sacks over his five seasons with the team. He was named to the Pro Bowl in each of the past three seasons and was a member of Seattle's Super BowlXLVIII championship team. ESPN's Dianna Russini, Tim McManus and Brady Henderson contributed to this report. 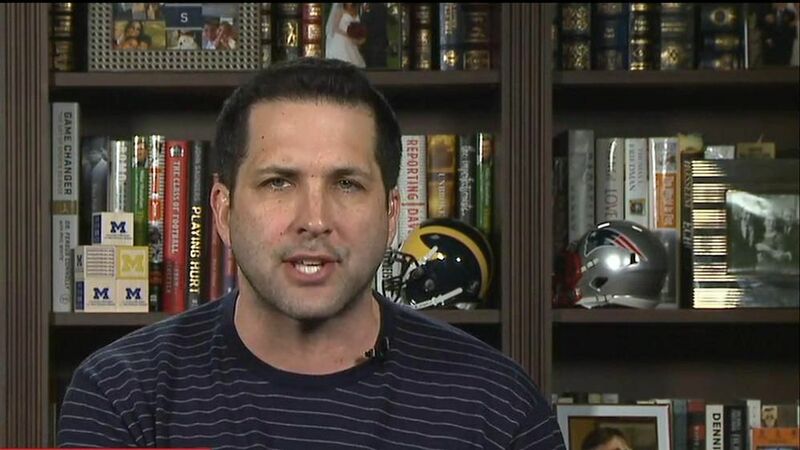 Adam Schefter explains how the Eagles have bolstered their Super Bowl-winning defensive line by trading a fifth-round pick and WR Marcus Johnson to the Seahawks for Michael Bennett.